The tongue can get us in trouble, in more ways than one. Its base is attached to the top of the larynx and if in the wrong position it can cause vocal strain, limit range, obstruct the open throat and cause over- or under- articulation (too much or too little clarity of pronunciation). Training it is a paradox, however, because sometimes too much attention to it causes it to tense just trying to do the right thing. I'm not a fan of strenuous tongue stretching and exercising before singing. My favorite method of dealing with the tongue is to use it for the right reason and the right communication psychology. The tongue should articulate a message so that the intended ear can understand not only the words, but the meaning behind the words. This is a holistic approach and usually works well to get the tongue out of the back of the throat. One should use the tip and front sides of the tongue to articulate lyrics, not the base. 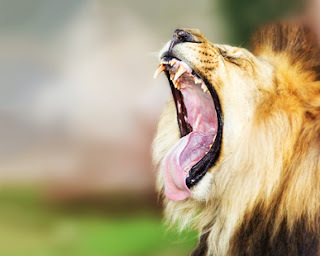 The less one uses the base of the tongue the better, because when it bunches up in active use, it pulls the larynx up and also significantly narrows the voice channel in the back of the mouth. When forming words, in general the tip of the tongue should stay at or near the back of the front teeth. Yes, certain vowels and pitches need different tongue involvment but the point is to operate the tongue in the front and keep the back of the tongue from bunching or bulking up. "the sixth sheik's sixth sheep's sick", etc. Unless your tongue assumes the right position it can't articulate these words clearly, so the object of articulation cures the wrong tongue positions. 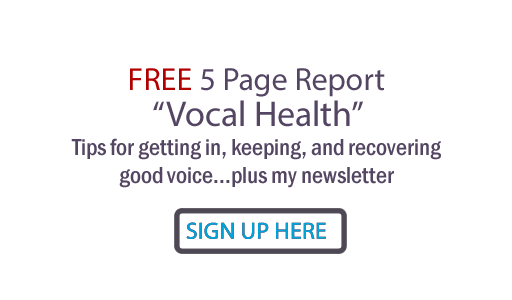 Another tongue exercise is simply to do great vocal exercises properly. If your tongue is particularly large, you may have to be even more careful to articulate in such a way that the base stays flat and out of the back of the throat. Let the tongue just ride along with the lowering and chewing movement of the jaw. When singing, the less the tongue has to do, the better. And lastly... a good check and fix for a bulked up tongue base is to put two fingers firmly up under your chin and sing or talk. Purpose your fingers to keep that area relaxed, flat instead of bulked up. Anyone out there have experience with tongue issues or fixes in practical speaking or singing situations? Would love your comments! my tongue is short and i have an overbite. my tongue does not reach the bac k of my front teeth very easily,it hits the roof of my mouth. What is this called and is there hope for me to get better. Hi Anonymous... not sure what this is called. I'm afraid this is outside my experience. The only thing I can offer you is that if you are tensing your tongue trying to get it to work, it will sabotage your voice. Just relax it and see if that helps. Put two fingers underneath your chin, feel for the root of your tongue and don't tense there when you use your voice. Good luck! Hi...i was hoping you could tell me a little more about opening the back of my throat because whenever i sing i feel like theres no space at the back and i consciously drop my jaw to get a more open sound...is this right ? Hi Anonymous... Yes, you should be relaxing and dropping your jaw as you sing, but there is also the matter of the 'ceiling' of your vocal tract. If the soft palate is not lifting, you can drop your jaw all day long and you'll still feel tight back there, with too much nasality in the sound. Also there is a rear factor... The 'open throat' opens up, down and back. This has to do with the tongue, jaw, soft palate, upper nasal pharynx, and neck vertebrae. Power, Path and Performance training creates that three way stretch habit by the 'pulling voice instead of pushing voice' that is central to this method. I encourage you to look into it.